Diodes are optional. 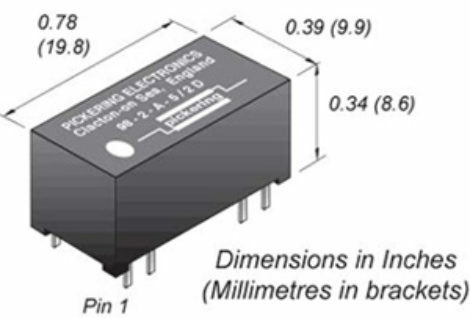 Two ranges of DIL (DIP) reed relays featuring internal mu-metal magnetic screens. 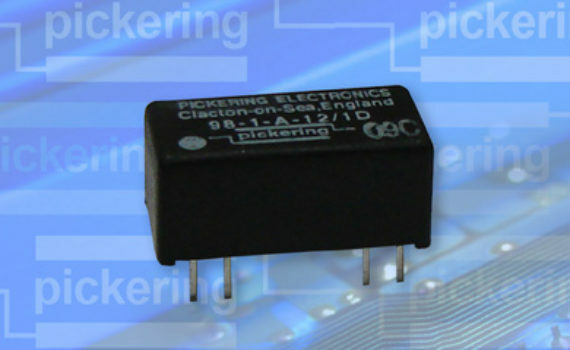 The Pickering Series 98 is a range of Dual-In-Line relays, electrically equivalent to the Series 101 CMOS drive, Single-In- Line types, but pin compatible with standard DIL relays. The range features very high coil resistances, the 5 volt dry devices may be driven directly from 74HC or 74HCT logic without the need for additional drivers. Naturally, high resistance 12 and 24 volt coils are also available in this series.